Bal Gangadhar Tilak, born July 22, 1856, was universally recognized as the Father of Indian Unrest. He was one of the prime architects of modern India and heralded Asian nationalism. His philosophy could not survive after his death as India came under sway of Mahatma Gandhi. Tilak was a brilliant politician as well as a profound scholar who believed that independence is the foremost necessity for the well being of a nation and that to win it through extreme measures should not be dispensed with. He was the first intellectual leader to understand the importance of mass support and subsequently became the first mass leader of India. He realized that the constitutional agitation in itself was futile against the British and that, moreover, India was ill prepared for an armed revolt. As a result, although he was helpful to revolutionaries such as Savarkar, Aurobindo Ghosh and Chaphekar, he did not venture into it himself. Instead, he martialled the extremist wing of Indian National Congress. His movement was based on the principles of Swadeshi (Indigenous), Boycott and Education. It was he who, through his own example, gave prestige to imprisonment in freedom struggle. It is a tragedy that his work is not given the recognition due to it. Tilak is often misinterpreted. Perhaps it is so because of his style of operation which raised bitter controversies and still more bitter opponenents even outside the beurocracy. Violent arguements characterized his relationship with social reformists such as Agarkar, Ranade and moderates like Ferozshah Mehta. Many blame him for opposing the Age of Consent Bill which raised the age limit for marriage of girls to 12 (from 10). But is fact that at the same time he had signed a counter-proposal where in one of the clauses was that the girls (boys) should not be married until they are 16 (20). He educated all of his daughters and did not marry them till they were over 16. There are instances when he privately paid for the education of women. Still it remains true that he was a reactionary and did not use his considerable influence to give a much-needed support to the social reformists. Probably, he did not want to offend the prevalent rigid system - he, himself, having been brought up in the culturally narrow surroundings of Pune. It seems as if his canvas presented him no room for active social reforms. He had several discussions with Shankaracharya of Sankeshwar and asserted that like Swami Vivekananda, the modern Shankaracharya must be educated on modern lines. 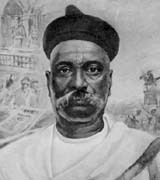 Tilak received Bachelor of Arts degree from The Deccan College, Pune in 1879 and L.L.B. from the Elphinston College, Mumbai in 1882. He was among the founders of the New English School, Pune (1881) of which Prof Chiplunkar became the Principal. He had a genius for organisation and with Agarkar, the then foremost social reformist, started the newspapers 'Kesari' and 'The Maratha' in 1881 and in 1890's started the annual celebration of 'ShivajiFestival' and 'Ganapati Festival' which served a platform for people to join in the nationalist movement against the British. Soon he came to be regarded as the undisputed leader of Maharashtra and was honored with the title 'Lokamanya' in 1893 which became synonymous with him in the 1900. As the nation fumed over the partition of Bengal (1905), Tilak assumed the national leadership with his extremist attitude and stated his position unequivocally as "Swarajya (self rule) is my birth right and I shall have it." The next three years saw meteoric rise in his stature and the British power which had long since considered him their chief concern and had sent him to prison twice already, decided on a firmer measure. Much has been said of his trial of 1908. He utilized his time in prison in scholarly pursuits and wrote "GitaRahasya", a commentary on the Gita. He returned to Indian political scene in 1915. The political situation was fast changing under the shadow of World War I. Mahatma Gandhi's star was on rise with Satyagraha at Sabarmati in 1914. The British charged Tilak in 1918. He fought those charges both in India and England, and was judged guilty. Amidst rumors of yet another sentence, he headed the Home-Rule commission in England to debate India's constitutional demands. By that time, Gandhi had made preparations of the first nation wide non-cooperation movement and, perhaps, it was to make way for Gandhi that Tilak left for England. Tilak was, probably, the only leader who could have put brakes on Gandhi. Both had conflicting approaches. Gandhi had the courage to address and solve the issue of untouchability once and forever. He, unlike Tilak, was a fluent speaker in Hindi and could thus reach the masses more easily. It is no secret that he had little respect for Tilak's real politick and Tilak hated adopting means which killed self pride of the masses. Whereas Gandhi preached, "Overcome hatred with love", Tilak pooh poohed moderates saying, "There is no empire lost by a free grant of concession by the rulers to the ruled." In both world wars, Gandhi encouraged Indians to fight for the British Empire unconditionally whereas Tilak held that if Indians were to remain slaves then it mattered little whether they joined army or not. 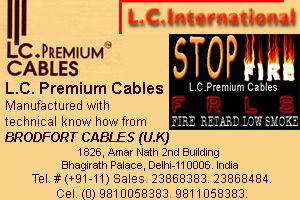 The Mahatma was modern with novel methods. His was a welcome arrival both for the Moderates who needed an answer to the Extremists and Tilak, in particular, and the British who would rather acknowledge and have a saint as the foremost adversary. In the 20's many of Tilak's followers, Dadasaheb Khaparde and N.C. Kelkar being the most prominent among them, supported Gandhi but none could have his say in the new order. Aurobindo Ghosh had retired to an ascetic life and Savarkar was serving two life sentences in Andaman. The Lokamanya had no worthy successor. Tilak's health continued to deteriorate rapidly at end of July 1920 and he went delirious and was unconscious for 3 days. His last words in the final momentary recovery were, "This happened in 1818 (End of Peshwai) and this in 1918. A hundred years' history - what a life of servitude...Unless Swaraj is obtained, India shall not prosper. It is necessary for our very own existence." At 00:40 hrs (IST) on Aug 1, 1920, he was declared dead. It is said that the British made an extraordinary request that his brain be handed over to them so that it could be studied, preserved and exhibited. It was not complied with.